A versatile boot for on and off-trail exploring, the Rossignol X5 is the perfect touring boot for active recreational skiers. 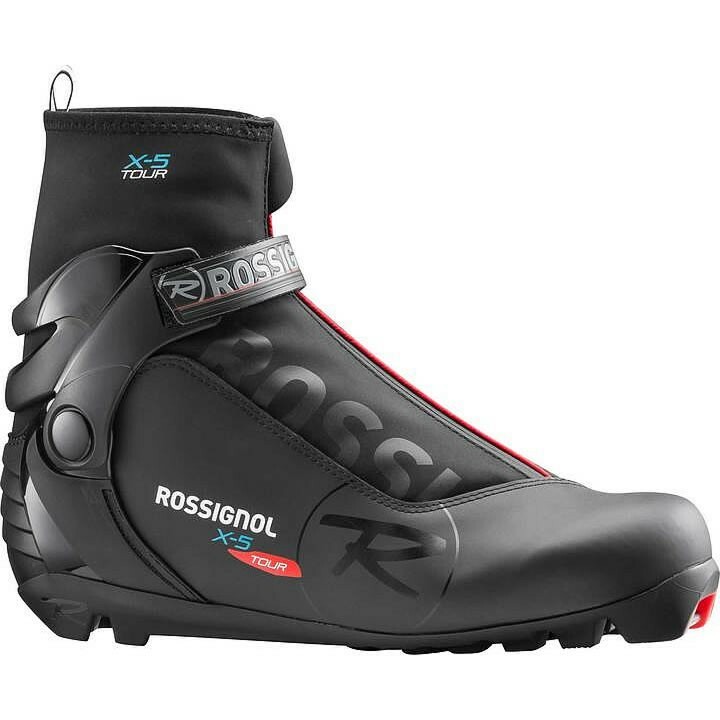 Rossignol's all-new touring-specific sole construction offers increased comfort and support while the free-hinge cuff provides better mobility, stability and control. The thermo-moldable fit, external stretch lace-cover and taller cuff design offer enhanced comfort and warmth. Sport Sole: Features Tech Grip for comfortable walking, while central insert cleats allow maximum precision and control.